Something I’m not the greatest at is taking the time to indulge in some true rest and relaxation time. As I’ve mentioned before, I tend to be pretty high-strung and anxious (at least on the inside!) I’ve learned that sometimes I really just need a breather. Relaxing is good for my own sanity and for others around me, too. With National Relaxation Day coming up on August 15th, there’s no time like the present to share a few of my favorite relaxation activities and get prepared, right? There are so many great books coming out this month, and first up on my list is to read Big Little Lies by Liane Moriarty. To get your relaxation on, grab a blender and throw together 1 part mango, 1 part Coco Lopez Coconut Cream, and 1½ parts orange juice to create the Tommy Bahama Chillax smoothie, or kick it up a notch by adding 1 ½ parts Cruzan® Mango Rum and ¾ parts Cruzan® Vanilla Rum to the mix. There’s nothing like a nice cold beverage and a good book, right? TWO: Go for a walk in a new place. I’m not one to hit the gym, so my preferred exercise of choice is taking the dog for a nice long walk. It’s always a nice way to clear your head, take in lots of fresh air, and there’s nothing like finding a new secret spot in your ‘hood! 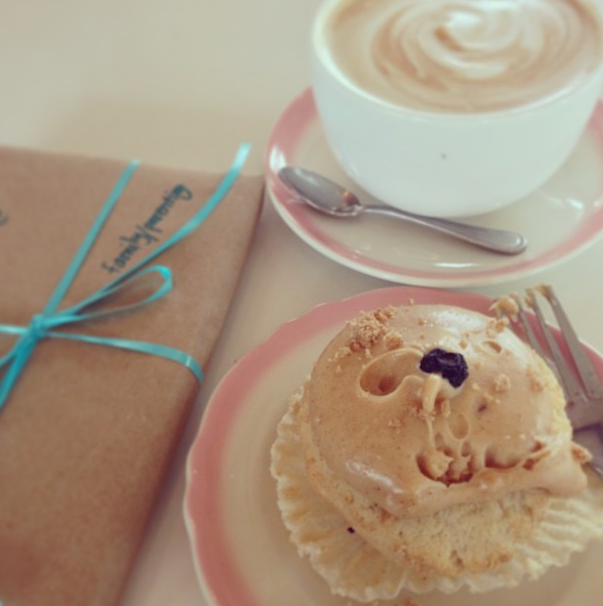 THREE: Treat yourself to lunch out, or coffee and a treat. Sometimes it’s nice to just get out of the house and enjoy a lunch by yourself (especially if it includes sitting on a patio for a little Vitamin D! ), or a cup of coffee (iced or hot, pick your poison.) Nothing says relaxation to me like a nice chocolate-y dessert to go with that coffee! FOUR: Treat yourself to a nice facial, or a foot massage. Full body massages can be pretty expensive, so I like to treat myself to a facial or a foot massage instead. Ask around or check out Yelp for hidden gems. A lot of smaller massage places will give you a foot massage (and sometimes they include more than just your feet) for a steal!For a budget-friendly facial, try to find a cosmetology school in your area. 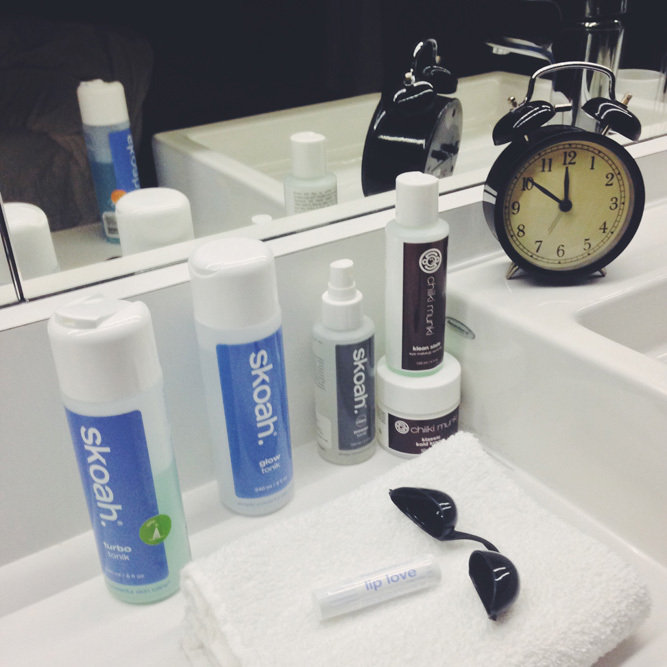 I’ve been able to score a decent facial for under $30! If you’re not feeling that adventurous, you could always have DIY spa day at home! Try a new facial mask, pick up some nail masks, or just give your feet a nice soak. Okay, this one does not sound relaxing, but bear with me. Cleaning is one of the most relaxing activities for me. Something about purging the old, making room for the new, and the feeling of accomplishment at the end of the whole thing. Now I’m not telling you to go scrub a toilet, that’s just gross and no one likes doing that. But purging your closet of stuff you aren’t wearing, or going through a junk pile that you’ve been meaning to take care of can be pretty rewarding (especially if you find money or something you thought you’d lost!) And it is one less thing on your future to do list. Win-win right? In celebration of all things relaxation, Tommy Bahama is inviting you to enter their “Summer of Go” Sweepstakes, which includes weekly giveaways between July 16th-August 18th and a Grand Prize Giveaway on National Relaxation Day weekend August 15th-18th. Thank you to Tommy Bahama for sponsoring today’s post. All ideas and thoughts about relaxation are my own.Would you try any of these relaxation ideas? What’s your favorite way to relax? this is a great list! personally i love cleaning as well, and there is nothing more relaxing than sitting back with a good book AFTER the whole house is clean lol. just nobody move, or do anything that will make a mess. haha! 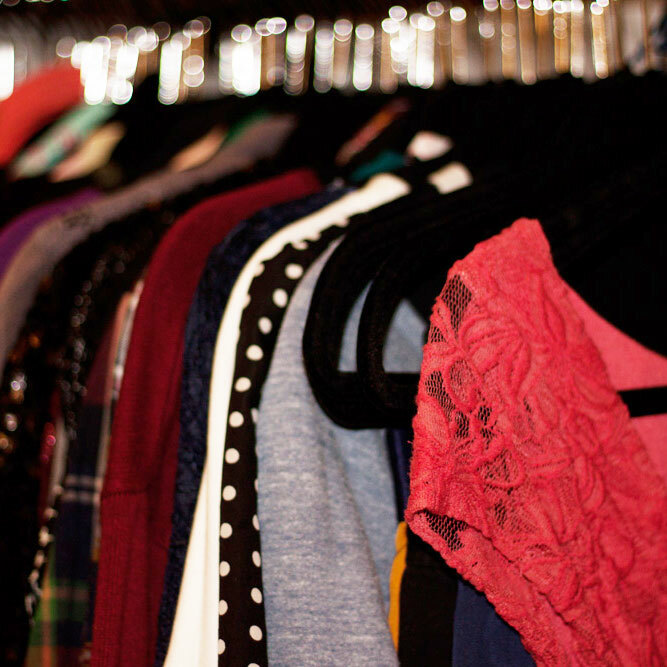 i really need to reorganise my closet soon, its starting to overflow, normally i am way on top of it! Ahh this list (sans reorganizing the closet which is pure torture) sounds so relaxing!!! A walk in a new place is just the best and relaxing with a book? doesnt get better! Haha! I know, its definitely not for everyone. Sometimes I tackle smaller cleaning projects instead. Love relaxing with a good book though, it’s hard to beat! Feels so good to relax after a long day of work, or chores around the house doesn’t it? I love getting a pedicure or mani to relax, or simply watch a movie on netflix, in bed. These are such great ideas. A quiet walk in the evening is such a great way to unwind after a long day. Totally agree, Debi! I need to make more time for those! Haha, me too. Nothing like a glass of wine to relax! I wish I wasn’t allergic to mango, or I’d make one of those cocktails tomorrow! I’m not allergic to cupcakes though, bring ’em on! Oh no, a mango allergy sounds terrible, its one of my favorites! :( Could always substitute strawberry or banana! I am totally with you! When I’m feeling stressed out I clean too – and it somehow calms things down. I think it’s something to do with feeling completely in control over the task at hand. I couldn’t agree more – its nice to feel in control and accomplished when you’ve finished cleaning! I lllllllllooooooooovvvvvvvvveeeeee walking in new places! That is my favorite. You can’t sell me on the closet idea though LOL. I’ve already entered this but all of these things sound wonderful. Massages are my favorite and I always make it a point to get one every time I travel. We try to do the same – nothing more relaxing than a massage! That drink looks amazing. And the cupcake yummmmm… totally great to know National Relaxation Day is coming up. I need to start relaxing for sure. Love this list. Wasn’t even aware that National Relaxation Day existed. Love it! I know, what a great idea right?! I’m a stress cleaner too! Love all these ideas for relaxing. What a great idea – hope you enjoyed it! Twin posts! Surprisingly our lists are very different! Go us. Haha, I know right? Too funny! Cold beverage + lounging around with a good book sounds pretty swell. Relaxation Day should be a monthly thing at least though, imo. I also like cleaning in a weird way, haha. One of those cocktails would be the perfect way to relax! Apart from reorganising my closet I do the other 4 quite often when I need me some R&R. Just the thought of cleaning out my closet gives me anxiety! I need a chillaxing cocktail stat! Ahhhhh…a pedicure and a facial sound AMAZING right now. I really need some relaxation time! Me too! Definitely need to schedule a pedicure ASAP! Definitely, nothing like a little R&R! I always need to remind myself to relax! Thanks for sharing such great ideas. Glad you found them useful, I have the same problem! I love the coffee treat. Hello coffee addict here. I try once a week to go get myself a special coffee and sit to read a book for an hour. Haha, total coffee addict over here too. That sounds like a great thing to do every week! I know I could definitely use a day or two of relaxation. 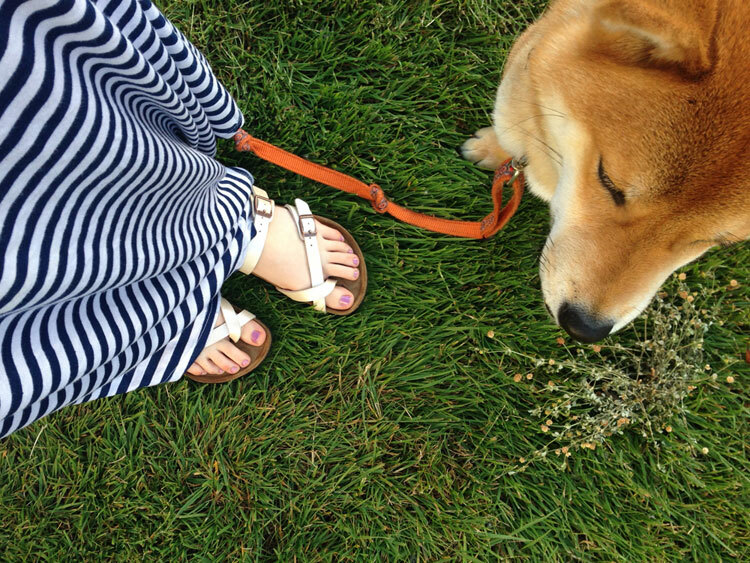 These are some wonderful ideas – my favorite is probably going for a walk in a new place. I think that one is my favorite too, and also the most simple + budget friendly. Win-win! 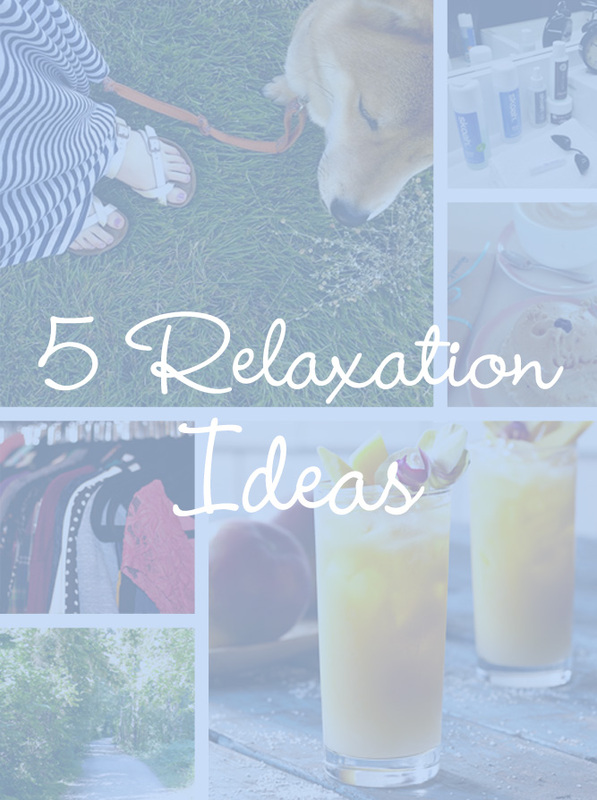 I am loving all these relaxation ideas! My favorite is to take 20 minutes and start by freeform writing for 10 minutes, anything that pops into my head… coherent or otherwise. Clear my head and take a deep breath… and curl up with a hot cup of something and just be. This rarely happens with 3 littles running around, though. ;) Lovely share! That is a great idea! I may have to borrow that, especially when I can’t think of what to write about! This is a great list! I need to take some time to do a lot/most of these asap! Thanks for sharing Jenn!